Show them you care this Valentine's day, by sending a little bag of love. 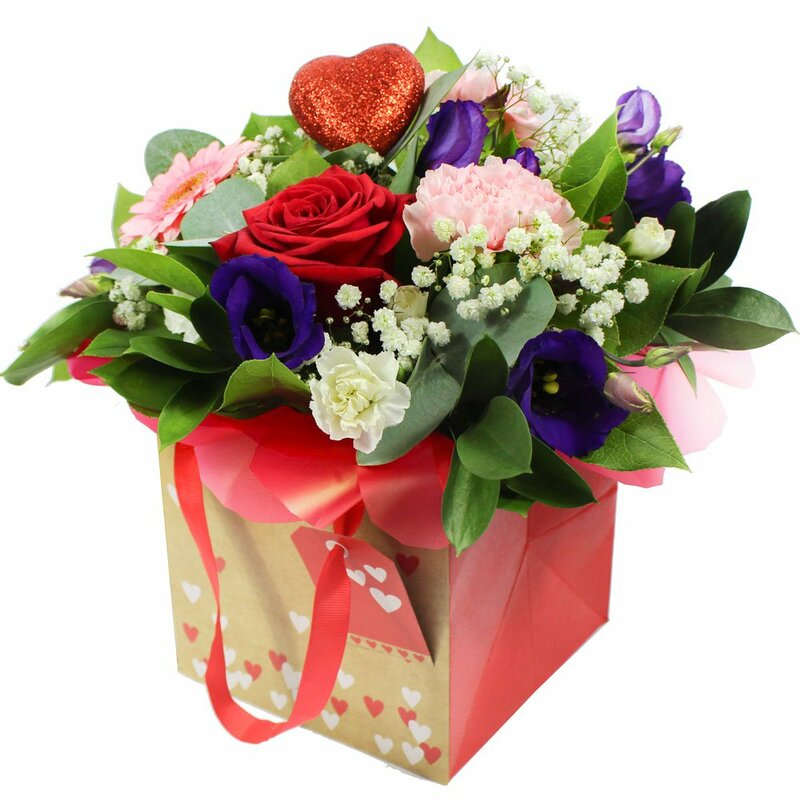 A petite design that just says all you need, filled with a stunning selection of purples and pinks and the all important single red rose place in the centre. Add your card message and this hand made gift is ready to deliver in and around hereford by Hillmans Florist. Some blooms may be delivered in bud for maximum vase life.